These units, are a home away from home. Warm, Cosy, and comfortable. A downstairs Unit with parking. Our family sized units offer a variety of sleeping configurations. One Queen bed only is in this room. Great for over nighter's of those not wishing to do much cooking. 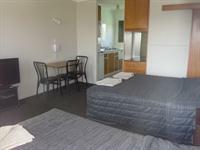 This is a great affordable economy unit, sky tv, microwave, tea and coffee making facilties, microwave and fridge. Electric fry pan included in room. UPSTAIRS Studio Units- Perfect for that couple needing warm cozy, clean units when just passing through town. When you don't want to spend a fortune for your stopover. It is the no frills room, but with privacy and comfort. They offer everything you need to stay. Microwave, fridge, one queen bed, one single bed, equiped with iron, ironing board, heater, fan, extra pillows and blankets. Full shower bathroom. This room has 1 Queen size bed and 1 single bed. Fully self contained with full cooking facilities. - Extra blankets and pillows included. - 5 seater dining table. NOTE, this room is on second level. It is on a our second floor. There is only one on property. FREE WiFi, and FREE acess to a large HEATED swimming pool and spa complex. 1 queen size bed in main room and 1 queen and 1 single in the adjoining room. Downstairs Studio Units — Horse of the Year! Family Unit — Horse of the Year! Upstairs Studio — Horse of the Year! Explore the Hawkes Bay the Inexpensive way. 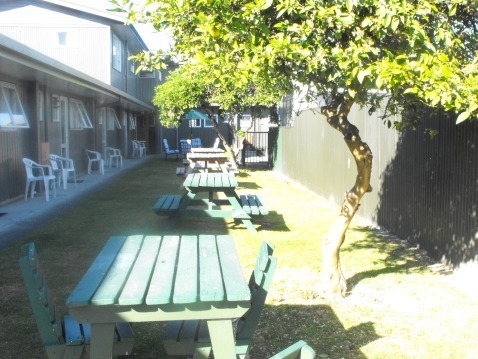 The Magpie is Affordable, inexpensive accommodation in Hastings. Centrally located. If you want a clean room and great close location then look no further. We are committed to providing our guests with everything you need to enjoy a relaxing and stress free holiday, our guest services and facilities are here to help you do just that! 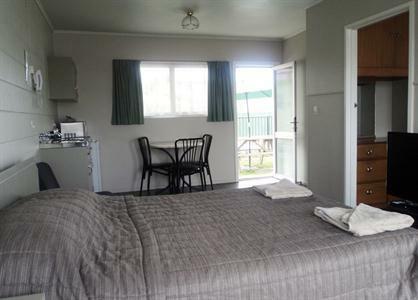 All of the units at The Magpie Hawkes Bay Motel are serviced daily. We have FREE acess to a large outdoor heated swimming pool and spa complex. 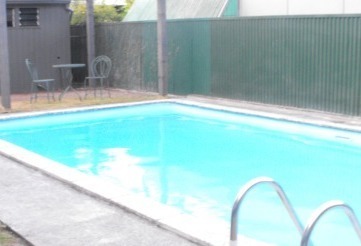 Swimming pool - perfect for those hot Hawke's Bay days! Visa and Mastercard Union Pay, Farmers Card and Q card accepted online and at our premises. Fresh and comfortable units. Great for travellers of all sorts. Great value accommodation. Rooms have full stock of linen and kitchens provide cutlery and dishes for guests. Tea and Coffee Making Facilities in every room with Microwave and Fridges. Air Conditoning and Heat pumps in each unit. Fully stocked cutlery and plates and utensils and useful kitchen items. Fridge and kettle and toast in each room. Ironing Board and Iron in each room. Full cooking facilities in most units (some have kitchenettes). Large off-street parking (there is even space for trucks & trailers). We often have groups with trailers stay. We have plenty of room. 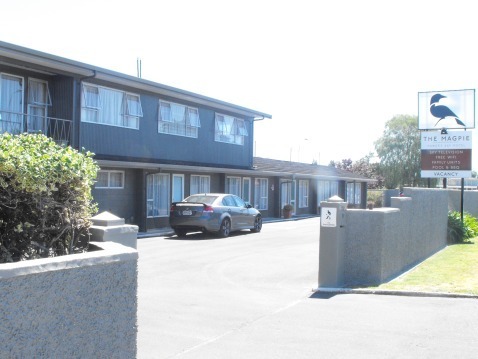 We are centrally located, Hastings City Centre(CBD), Splash Planet and Hawkes Bay Showground are within walking distance, Havelock North and Napier are only a 10 minute drive away. Close to Restaurants and Dog walking areas. Our road, Karamu Road is connected right into the city and also on bus and taxi routes. 2 Minute drive to CBD, and close to dining options. 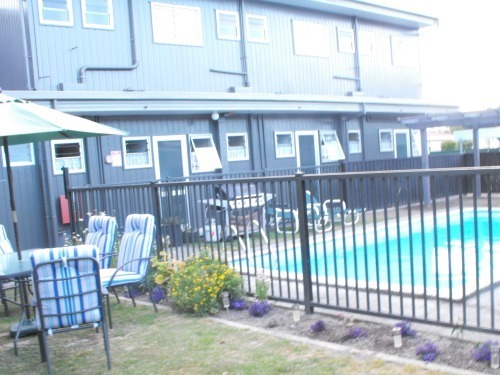 We have free Acess to a large heated swimming pool and tennis court only 2 km away. We can have pets here but must be booked in and confirmed please. Please discuss. We have set rooms aside for pets, some rooms do not host pets. A NO SMOKING UNIT POLICY. AIR CONDITIONING IN ALL UNITS. First nights acccommodation will be taken at time of booking as a deposit. The balance due at Check in .Credit Card Details are kept on file –The credit card (in your absence) may be used for phone charges, missing/damaged items or extra cleaning charges if units are left in a manner considered beyond reasonable wear and tear. Missing keys incur extra charges. No smoking in rooms at all. A Charge for cleaning and room closure may apply. No deposits will be refunded if booking is cancelled within 7 days of arrival date. Otherwise a cancellation fee of $30.00 (for administration) applies to all bookings. Cancellation of group bookings within 6 weeks of arrival will incur a loss of all deposits on all rooms or sites booked. We will transfer a booking if we have availability. Infants, One year and under. Children aged up to and including 2-13 years of age are deemed to be a child. 14 Years and more adult charges. Guests Understand they must return key after use. If you intend to arrive after 7.30pm, please contact us regarding a late checkin Box. We like to organise arrivals after 7.30pm. Full payment for late arrivals.